If you know me well, you know I love extreme weather. Whether it's a good thunderstorm or several inches of snow, I am always excited about it...and even more excited to photograph in it! So when I received a call from Hugh and Arielle on one of our snowiest days this spring asking if I'd be interested in photographing them in the snow, you bet I was thrilled! I packed up my things and left quickly to meet them at the Tidal Basin in Washington, DC. 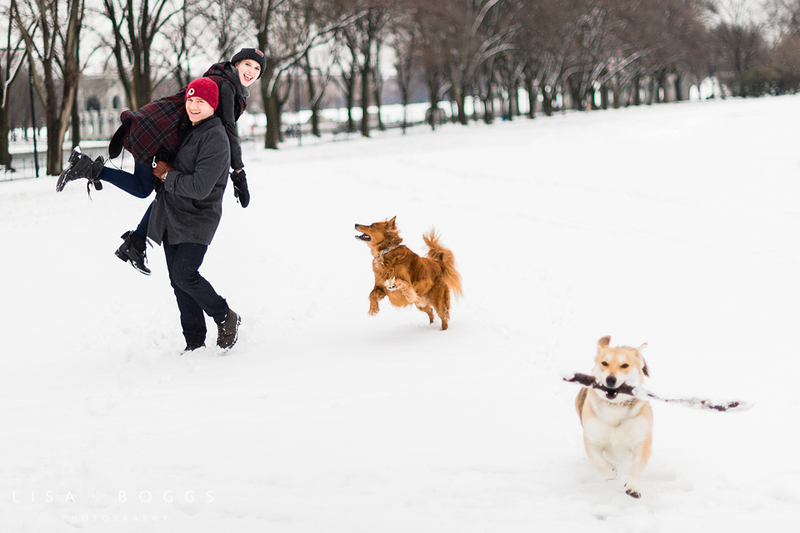 Arielle and Hugh were already slated to have a cherry blossom engagement session with me, so I was pretty pleased when they spontaneously switched it to a snowy engagement session. I knew they were going to bring their two dogs, Champ and Charlie, regardless of what we did, and I have to say...those dogs loved the snow! I think I can speak for all of us that the snow was really magical that day. We were all in such high spirits and I was able to capture very fun, playful and joy-filled photos. 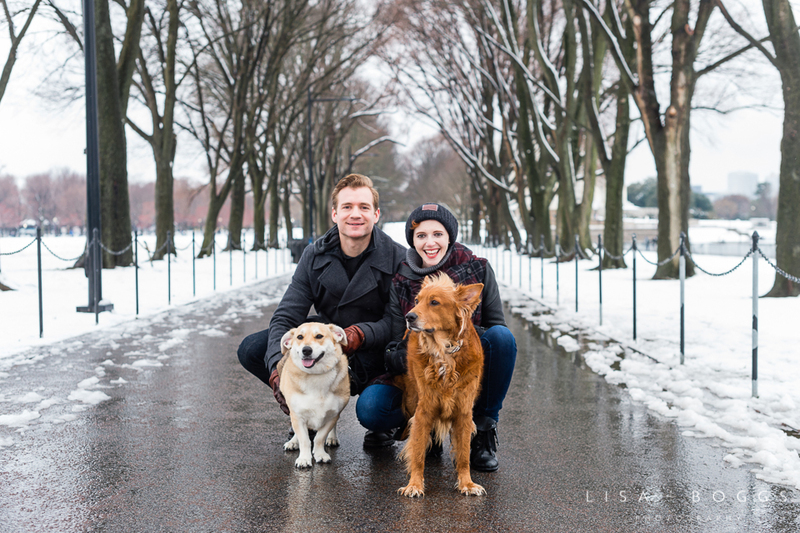 I really can't get enough of this adorable couple and their dogs! I hope you enjoy the photos below! And many thanks to Arielle, Hugh, Champ, Charlie and dog-wrangler extraordinaire, Niki, for such a fun time. P.S. Love the photo of Niki hitting Arielle and Hugh with a surprise snowball! Ha!